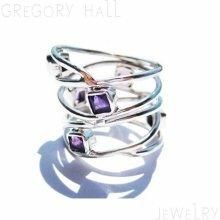 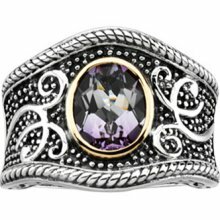 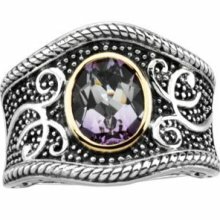 Flanked by round-cut white topazes, a cushion-cut amethyst adorns the center of this ring. 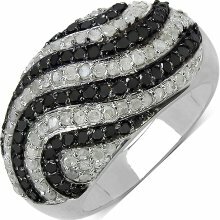 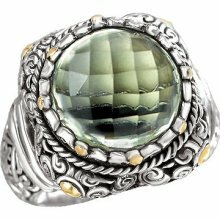 This ring is crafted from sterling silver and is accented with a highly polished, two-tone finish. 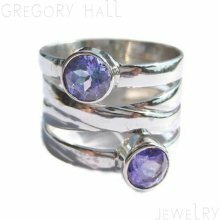 Gemstone colors: Purple, white Gemstone shapes: Cushion, round One half bezel-set cushion-cut amethyst each measure 10 mm wide x 14 mm long Gemstone weight: 6 1/2 carats Six prong-set round-cut white topazes each measure 0.9 mm Gemstone weight: 0.02 carat Total gemstone weight: 6 1/2 carats Metal: Sterling silver Finish: High polish Metal weight: 4.08 grams Ring setting dimensions: 21.06 mm wide x 25.38 mm long Band dimensions: 6.75 mm wide All carat weights and measurements are approximate and may vary slightly from the listed dimensions. 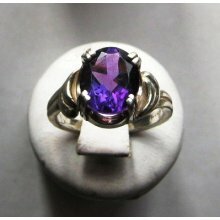 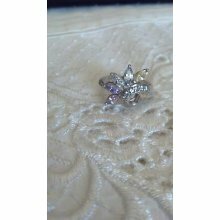 Treatment code N (amethyst) and C (white topaz). 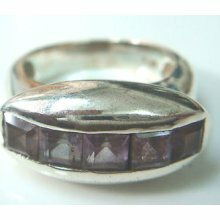 See Gemstone Treatments for further information. 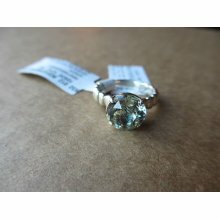 Click here for ring sizing guide This ring cannot be resized.